Today we have a veteran fantasy author. 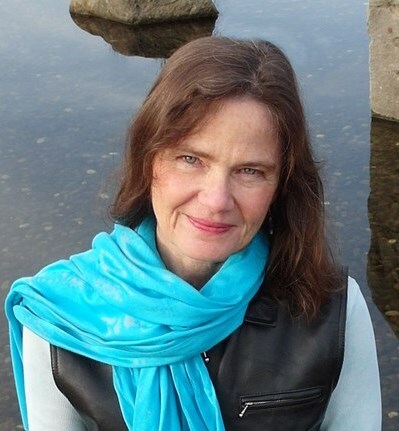 She's penned 6 YA fantasy novels, more than anyone else I've interviewed and I'm pretty sure that, at least here in Seattle, she's a pretty big deal in the YA world! I'm so happy to introduce Janet Lee Carey! Once Upon A Teen Reader: It's possible that the most iconic thing about fantasy novels are dragons, and while I know not all of your books include dragons you do have written some with them. Why did you decide to go with dragons? 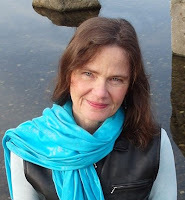 Janet Lee Carey: I read a lot of fairy tales in the winter and I got tired of reading about perfect princesses and cruel dragons. I thought I’d mix it up so in Dragon's Keep I created a princess with a dragon's claw and a complex dragon character for the reader to get to know. Dragons represent the wildness of nature and intelligence together. They’re amazing beings and once I started writing about them, I found it very addicting, so I kept coming back to them. OUATR: The most recent novel you wrote, In the Time of Dragon Moon, is technically part of a series but you're able to read them independently. Did you do that on purpose or was that just something that just came about on it's own? Did you initially try to write a direct sequel? JLC: I didn’t intend to write more Wilde Island books at first but the world I created for Rosalind Pendragon’s story felt vivid. It was a place I knew more stories could grow. Rosalind’s story was completed in book one, so I immediately started to think about another character and what her story might be. I made it generational so the reader can get a sense of history. The first book sets up the second book and so on. Some of the characters you meet in Dragonswood come into In the Time of Dragon Moon. By that time they're already adults so you see their progression. OUATR: You also have another series, the Noor books, which IS a direct sequel, right? OUATR: Did you prefer writing one over the other, a direct sequel vs a companion novel? JLC: I prefer the companion novel, or what I like to call "generational". I like for a character arc to reach completeness in a single novel. Often when you have a series where a character is changing ever so slightly in each book it can get a little stale. I’ve found I like working with new central characters each time. That said, I also enjoyed bringing characters from former books into newer books. If you read Dragonswood you find a hint about the murder mystery that takes place in In the Time of Dragon Moon. OUATR: The Wild Island Chronicles take place in the real world with a secret fantasy world inside of it, right? JLC: Book one, Dragon’s Keep, was actually turned down a number of times because it was considered "too historical" but I was totally in love with the time period and the magic in it isn't heavy magic. I did an enormous amount of research on the politics, beliefs and customs in the medieval world and added dragons and fairy folk to that historical landscape. OUATR: The third book in the series just came out, do you think you'll continue on in that world? JLC: I don't know yet. I have characters I'd love to continue exploring. The character Augusta has a lot of dragon signatures on her face; her eyes are like dragon eyes and she has scales on her forehead. She's an interesting character. Augusta ends up living with the dragons and the fairies instead of with the humans because the humans fear her and reject her. She has her own arc that I think would be fun to develop, so I'm leaving it open. 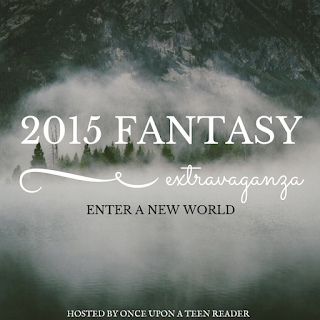 OUATR: You wrote a contemporary novel, so why did you decide to switch to fantasy? 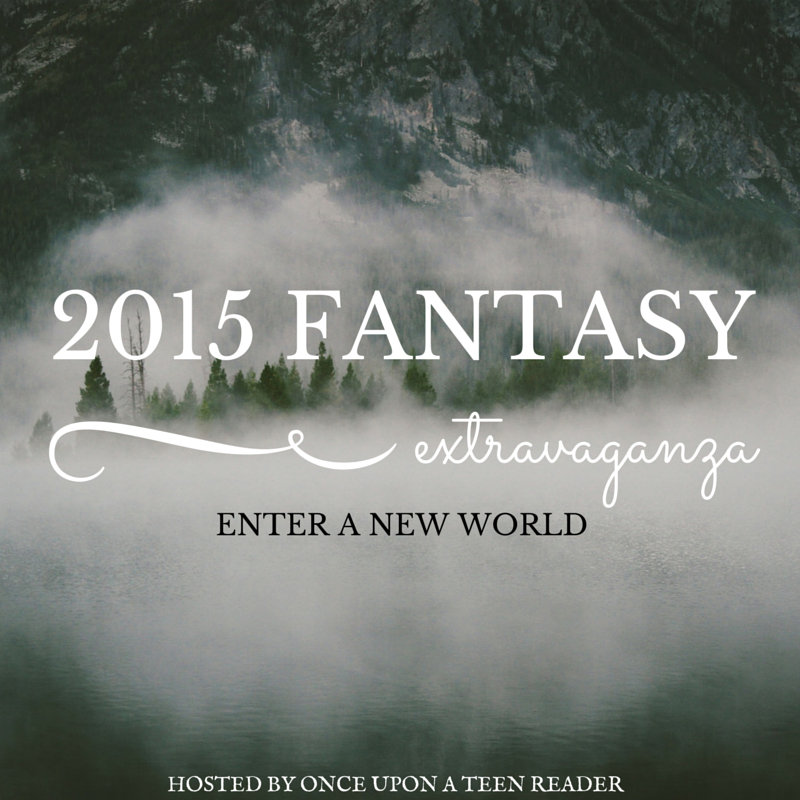 JLC: Honestly I adore fantasy. I read mostly fantasy growing up. I’d already written a few fantasy novels before I was published but the first book I sold was historical fiction. After that first book the editors advised me to stay with realistic fiction. They weren’t interested in seeing any fantasy. The trouble is I had to write fantasy, so I went ahead and wrote The Beast of Noor. I completed the whole novel without mentioning it to anyone but my close friends, family and the women in my critique group, Diviners. I was passionate about the story and simply had to tell it. Once I had the entire novel finished and showed it to my agent and editor, they were very happy with it. I knew I would focus mostly on YA fantasy novels from that point onward. Dragon’s Keep sold soon after that to Harcourt in the US and to Faber and Faber in the UK. The UK edition sold using the title Talon. OUATR: I constantly hear from other fantasy writers when asked what books they would recommend their answer is one of yours so what fantasy novels would you recommend? JLC: I would highly recommend The Scorpio Races by Maggie Stiefvater. I also recommend books by Ursula K. LeGuin. I love her adult fantasy as well as her YA fantasy which is not as well known. She's just a masterful writer. I also like Juliet Marillier's Seven Waters series. Her fantasies are generational like my Wilde Island novels. On the southernmost tip of Wilde Island--far from the Dragonswood sanctuary and the Pendragon Castle--live the native Euit people. Uma, who is half Euit and half English, and not fully accepted by her tribe, wants to become a healer like her Euit father. But the mad English queen in the north, desperate for another child, kidnaps Uma and her father and demands that he cure her barrenness. After her father dies, Uma must ensure that the queen is with child by the time of the Dragon Moon, or be burned at the stake.Terrified and alone, Uma reaches out to her only possible ally: the king's nephew Jackrun, a fiery dragonrider with dragon, fairy, and human blood. Together, they must navigate through a sea of untold secrets, unveil a dark plot spawned long ago in Dragonswood, and find a way to accept all the elements--Euit, English, dragon, and fairy--that make them who they are. 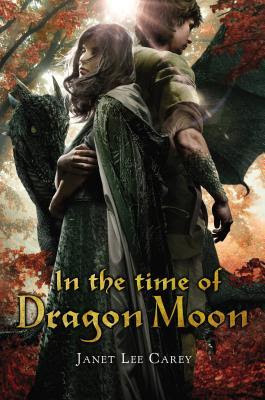 Janet has kindly donated a signed copy of her newest novel In the Time of Dragon Moon that she will send to one lucky winner, so make sure to enter the giveaway below for you chance to win! I'm interested in reading her realistic fiction to compare; normally, there's not much crossover! I haven't heard much about this book but it sounds really good. Thanks for this interview! I had not heard about this author before reading this interview, and I must say that I am glad I read it! The first book, Dragon's Keep, certainly sounds interesting! I like how you asked about companion novels vs direct sequels. I had often wondered which ones authors preferred. Also, thank you for book rec question. I have heard of The Scorpio Races many times in the past. I think it is time to finally check it out. ;) Way past time, if I may add. Terrific post, Janet and Anna! Woah, the cover looks amazing! This interview was great; thank you for the giveaways! The interview definitely caught my attention the second I saw dragons! I also love how there's a series that's generational; I don't get to see many of them but they are really awesome so that makes me want to read Janet Lee's books more! When I started reading this interview I had no idea you guys were talking about "Talon", I have already heard so many good things about the book and the fact that it is part of a series but can be read as a standalone makes it even more appealing. Dragons? Love dragons. Thanks for bringing this one to my attention. Janet Lee Carey's books, but I would like to do so. Thanks for introducing me to a new author to read.